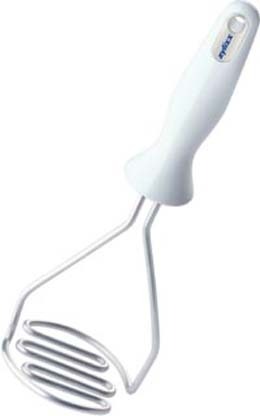 Ergonomically designed for perfect handling, the Zyliss Potato Masher lets you apply the necessary leverage for mashing and can be used either right or left-handed. A unique hand rest supports hand so tool won’t slip during use. Masher wires are made of stainless steel and rounded in shape to make scraping easy. Dishwasher safe.